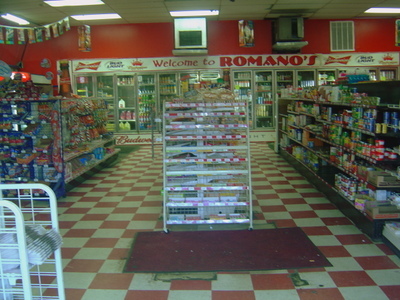 When we last left Romano's, they were "closed for renovations," and it looked like this. Here's the update on that place. 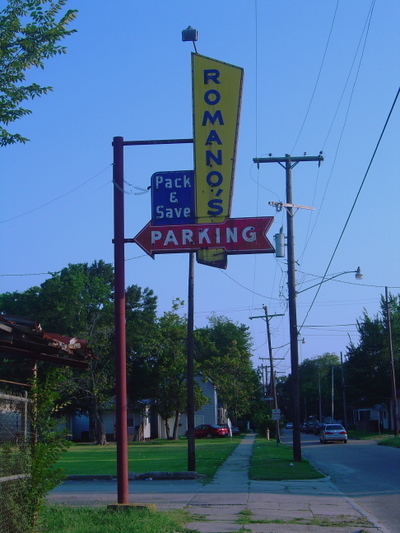 This is one of many businesses on Florida Boulevard whose freestanding roadside sign, as you'll see below, took a beating from the winds of Gustav. 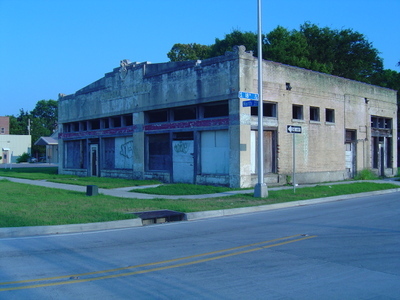 But more interesting to me was that instead of all the usual crap being left inside an abandoned, er, closed for repairs business, it was standing out in the lot for the world to see. I guess that sawhorse means "don't go under the beat-up awning" but of course I did not listen. 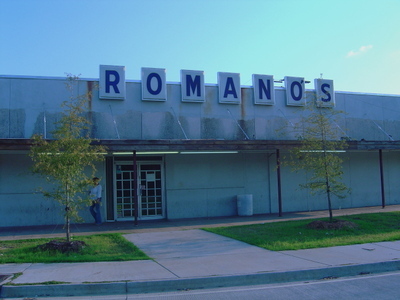 Remember the sign announcing that Rome Cleaners was having a sale on unclaimed wedding gowns, that made you want to kill yourself? Well, how would you like to see those gowns? You would? Me too! Ahhh...nothing like a yellowed wedding gown, on display at a dry cleaner, with an obvious stain on it. Welcome back to the show. Please start with Parts One and Two, if you haven't already seen them. The Bellemont was an Antebellum, Colonial, plantation-style hotel and convention center built in 1946, according to a Yahoo travel listing that doesn't yet know it's closed. This enormous complex is empty now...kind of. (See that car? Not ours. And that's just the tip of the iceberg.) Thankfully I had a new abandoned co-explorer to help me braven up for this mission. I had usage of a car today, so I was able to expand my territory, but sadly I was forced back to the Old Blue Eye camera. No matter, because I shall make it up to you with a cavalcade of sites...and my first confrontation. 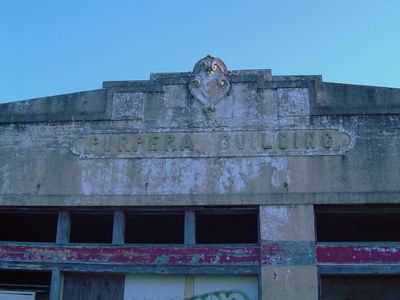 This is the Purpera Building, as proudly announced on the crown of the building. You'd think there'd be some mention of it somewhere on the world wide Interwebs, right?